Silver Bullet was a 16 million dollar project manufactured by Bolliger & Mabillard. 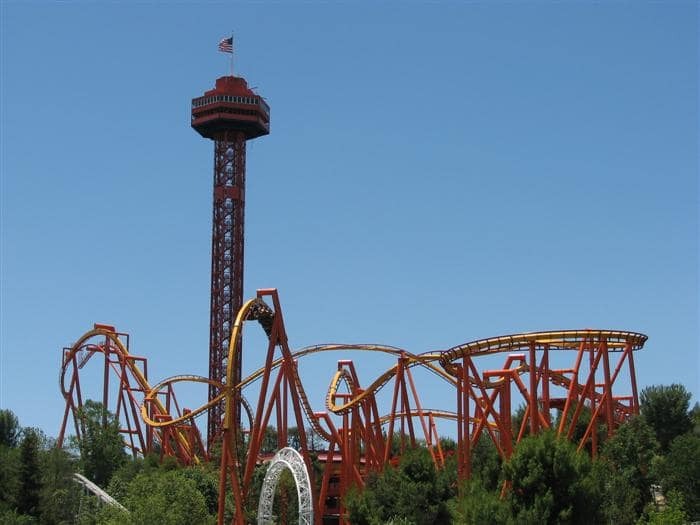 It is currently the newest coaster at Knott’s. 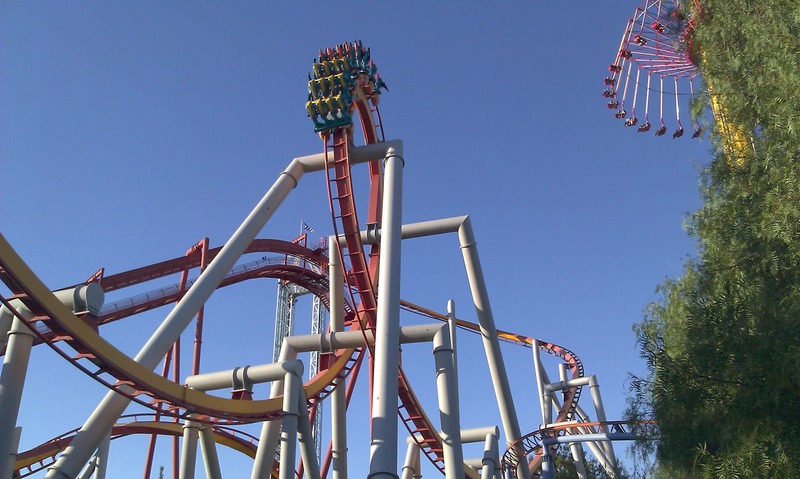 The coaster was designed with a western theme to go along with Ghost Town at Knott’s Berry Farm. However, it lies in three sections of the park – Fiesta Village, Indian Trails, and Ghost Town. Interesting enough, the tracks of the coaster were filled with sand to reduce the noise made by the trains. 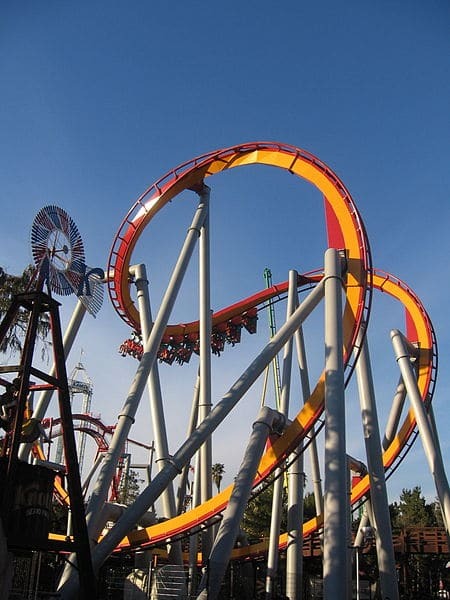 Silver Bullet was the first coaster to use magnetic brakes in the brake run. From experience, I can say that this ride is very smooth compared to other coasters I’ve ridden, and a thrill of course. 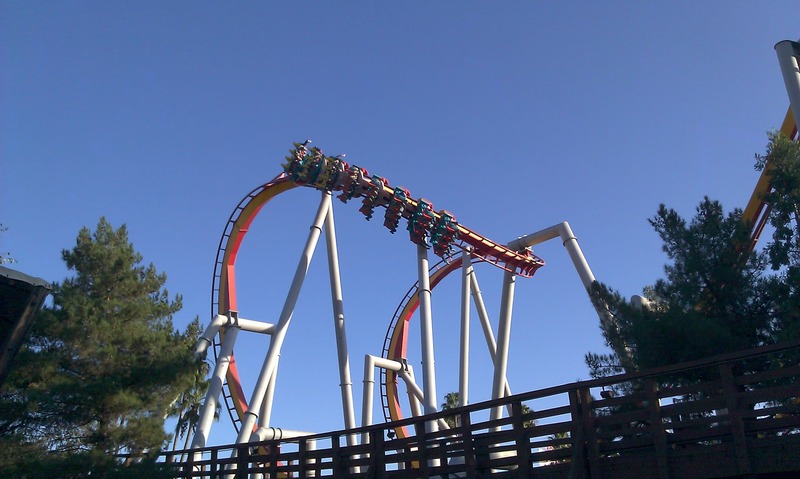 Boomerang was my favorite coaster at Knott’s but ever since Silver Bullet was implemented, it has taken rank on my list.